In vitro fertilization (IVF) is a form of assisted reproduction technology that involves harvesting of eggs from the female’s ovary and combining it with sperms in a conducive liquid in the controlled environment of the lab. The fertilized egg or zygote is then allowed to grow in a culture medium for 4-6 days before transferring into the uterus of the female for the purpose of establishing a successful pregnancy. By 2012 it was estimated that about 5 million children had been born globally through assisted reproductive methods. Currently, there are an estimated 20 million childless couples in India and research suggests that in the last 5 years, the incidence of infertility has gone up by about 20-30%. This translates into a lot of couples turning towards assisted reproductive methods and Indian hospitals have been gearing up accordingly to cater to the needs of these people. The latest technologies and machines are being imported to increase the chances of creating successful pregnancies. IVF has advanced quite a bit from its nascent days in 1978 when the first successful ‘test tube baby’ was born in the UK. Unknown to many, the world’s second ‘test tube baby’ was also born in the same year, but in India by the pioneering Dr. Subhash Mukhopadhyay, providing India with a long and distinguished history as far as infertility treatment goes. 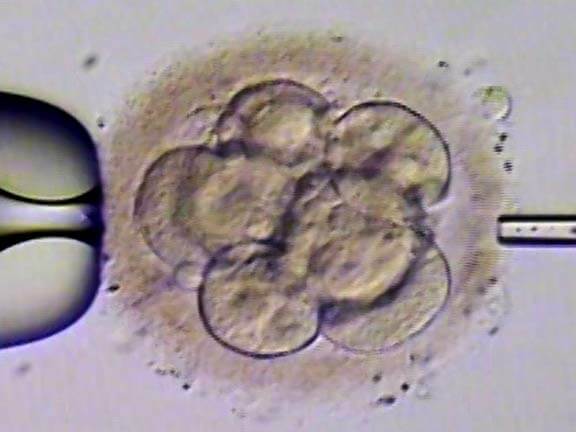 Currently, a relatively new concept has been introduced into the IVF procedure to increase success rates. It entails the ‘assisted hatching’ technique which helps in improving the chances of implantation of the zygote by creating an opening through which the embryonic cells attach onto the females’ uterine wall. For successful implantation, the embryo first has to ‘hatch’ out of its covering layer to attach to the uterus wall. Assisted hatching can be done by the use of lasers or Tyrode’s solution. The procedure first involves the fertilization of the egg after which it is left to multiply into a multi-cell embryo. During this initial stage, the embryo is covered by an outer layer of protein known as the ‘zona pellucida’. Fertility experts observed that those embryos with a thinner zona pellucida had a higher rate of success in implantation during the IVF procedure. Consequently, embryologists have developed an intricate artificial scientific method of manipulating the zona pellucida under the microscope and creating a small hole in its side to assist in ‘hatching’ and implantation. This procedure is usually done on the fourth day when the embryo consists of 6-8 cells. The embryos are stabilized from one side with a holding pipette while from the other side, another small pipette containing an acidified solution creates a small hole or defect in the zona pellucida. The embryos are then washed off any excess acidic solution and returned back to the incubator for a few hours before transferring into the uterus. Of recent, controlled laser beam pulses have been used in place of Tyrone’s solution to produce the same effect.